Straight off I have to say I enjoyed playing with these clubs and just loved the adjustability of the hybrid. And I must admit I didn’t think you could improve on the RBZ 3-wood, but this baby is a hammer of a club and the way it sits behind the ball on the fairway at address is like a work of art. In fact these beauties are works of art. If you’re looking for a new set of woods I wouldn’t look too far beyond the new RBZ Stage 2 set-up. I was impressed by the easy adjustability of both the driver and hybrid and tried it on the lower and higher settings, both working to great effect. But I think the star of the show has to be the 3-wood. As I said about the first RBZ 3-wood, if you’re someone who leaves the driver out of the bag and are looking for a great 3-wood this is your club. Great ball flight, plenty of forgiveness, and it just sits behind the ball perfectly. This club oozes power and inspires confidence. The driver uses a similar Inverted Cone Technology to the R1, which is milled into the inner side of the clubface and expands the portion of the face and produces a high ball-speed at impact. The Thick-Thin crown gives the RBZ Stage 2 driver a more-forward CG location, which promotes a high launch and low spinning ball. The 9.5 option can be adjusted up to 11° or down to 8°. The 10.5 model can be adjusted up to 12° or down to 9° and the HL 13 can be adjusted up to 14.5° or down to 11.5°. 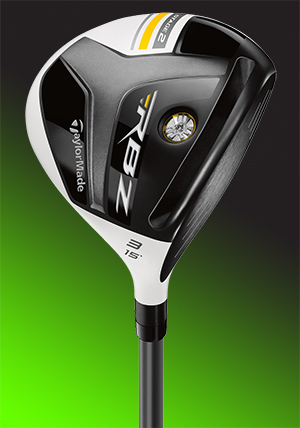 The 3-wood has an improved speed pocket design which first appeared on the original RBZ. This improvement helps the pocket flex faster to promote a faster ball speed. Coupled with the lower and more-forward CG location – which gives a higher launch angle and low spinning ball – it all adds up to some incredible distances from a 3-wood. 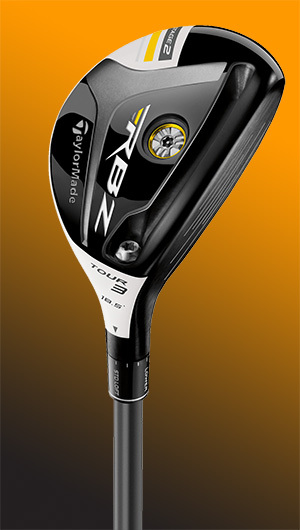 The Rescue Tour 3 also utilises the same improved speed pocket as the 3-wood . TaylorMade also use their Loft-Sleeve technology which has 7 standard and 5 upright loft options to add ±1.5° to the standard loft. The Rescue 3 loft is 18.5° but can be adjusted up to 20° or down to 17°, which gives you plenty of options. The Rescue 3 also has been designed to have a lower and more-forward CG location for faster ball speeds off the face and has a higher launch angle imparting a lower spin rate on the ball. 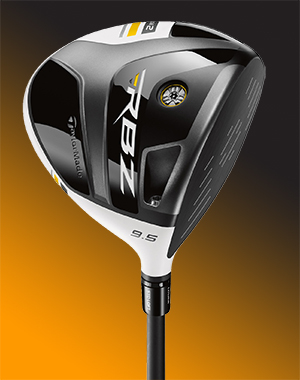 I’m impressed how the RBZ stage 2 has moved on so quickly from the original RBZs, but you can feel the difference and see the results especially in the driver and Rescue 3. The increase in the 3-wood is not so dramatic as the other two, rather incremental. You have to say the original RBZ 3-wood was a massive jump forward in how far a fairway wood can go, so the progress was never going to be so dramatic. But it’s there and I would recommend anyone who is looking to update their woods to take these out for a test. You will be glad you did.